For seniors considering a move to assisted living, some of the first questions they ask involve the costs. We talked with Tracy, Director of Sales and Marketing at Monte Vista Village in Lemon Grove, CA about the most common questions she is asked when talking with seniors and their families. Here are her answers to the top five questions. 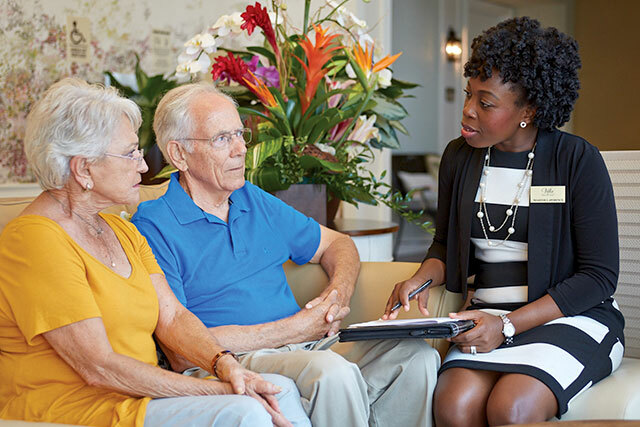 When moving to assisted living, you can expect to sign a lease agreement or contract that outlines the terms of residency, including the monthly cost and an addendum outlining care costs. Most retirement communities offer a month-to-month agreement that can be canceled with appropriate notice — typically 30- to 60-days. How much will assisted living cost? The cost of assisted living varies greatly and is dependent on many factors. 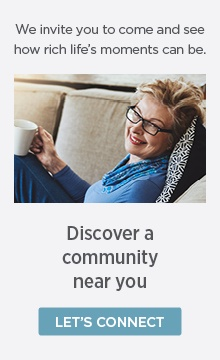 These include location, size and age of the community, the amenities offered, and the specific lifestyle and health care options each resident selects. In addition to the first month’s rent, a new resident will also pay an entrance or community fee. It’s a good idea to visit several communities to decide which is best for your needs and finances. Here are some key questions to ask during your visits. Most communities will be happy to set up direct-deposit payments from your bank account, so you don’t have to worry about payments being made on time. However, if you’d rather write a monthly check, most communities accept them, as well. If you have a family member handling your finances for you, they have the same options. Does insurance cover any of the cost? Only certain types of insurance cover assisted living. If you have long-term care insurance, it will cover part of your monthly costs. If you or your spouse is a veteran and qualify for the Aid and Attendance benefit, that will also contribute to your monthly expenses. A surviving spouse may also qualify. You can learn more about eligibility and how to apply for benefits at VeteranAid.org. Medicare and Medicaid do not cover the cost of assisted living. Here are some other sources of financing you may want to consider. What happens to the cost if my needs and services change? This varies by community. Some communities start with a base rate and add charges as services are needed. This is commonly known as a step-up program. Other communities charge rates based on all-inclusive services, up to a specific number of hours. For example, at Monte Vista Village, residents pay a flat rate for up to 60 hours of services per month. These services include bathing, dressing, grooming, and medication management. This is often referred to as a bundled program.